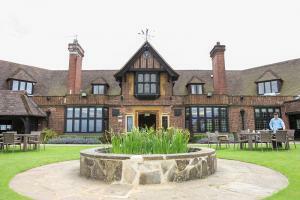 Rotary Club of Epsom - Welcome! 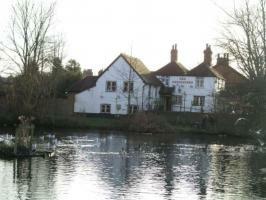 We are a vibrant club at the centre of the community of Epsom in the heart of Surrey, a town famous for the Epsom Derby. We are involved in local community and international projects, organising social and fund raising events and supporting local charities, schools and organisations, enjoying fun and friendship along the way. We have the motto "Service Above Self", with thousands of clubs world wide and well over a million members. Please also explore the links listed under "What we do" above at the top of this site for details of our committees, the work they do and for news. Our club President last Rotary year (2017/18) was Richard Deavin and we thank him for a great year and some lovely events. Our club President this Rotary year commencing 1st July 2018 is Steve Sharkey and we look forward to supporting Steve in taking our club forward. A warm welcome awaits everyone who is interested in learning more about us. For more information, or to arrange to meet up please either click on the "Join Rotary" button to the top right of this page for a form which you can complete and send to us, or email us at epsomrotarymembership@gmail.com. We are also on Meetup or phone 07513132552. For other matters and Epsom and Ewell Borough Funday at epsomrotary@live.co.uk. WE ALSO WELCOME THE FANTASTIC HELP WE RECEIVE FROM OUR SUPPORTERS AND IF YOU ARE INTERESTED IN HELPING US PLEASE DO EMAIL US AS ABOVE. 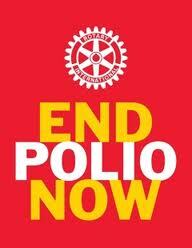 Eradication of polio in the world is a major project for Rotary and its clubs. We have been fighting polio for 30 years and the fight is nearly won. The Global Polio Eradication Initiative includes Rotary, UNICEF, the U.S. Centers for Disease Control and Prevention, the Bill & Melinda Gates Foundation and governments of the world, with the support of many others. Please click the image left for an interactive web site where people can come together to end polio. If you would like to help in this or any of our projects please Email our club as above. Our club supports the Children's Safety Education Foundation. A copy of our Certificate of Appreciation can be downloaded via this link and the Foundation's web site can be accessed via this link. 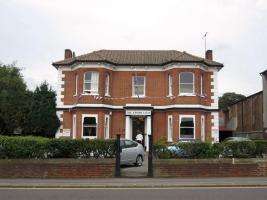 Many thanks for looking us up and for your interest in Epsom Rotary.